We were recently shown around the Warren Farm site by Carolyn and Dominique. 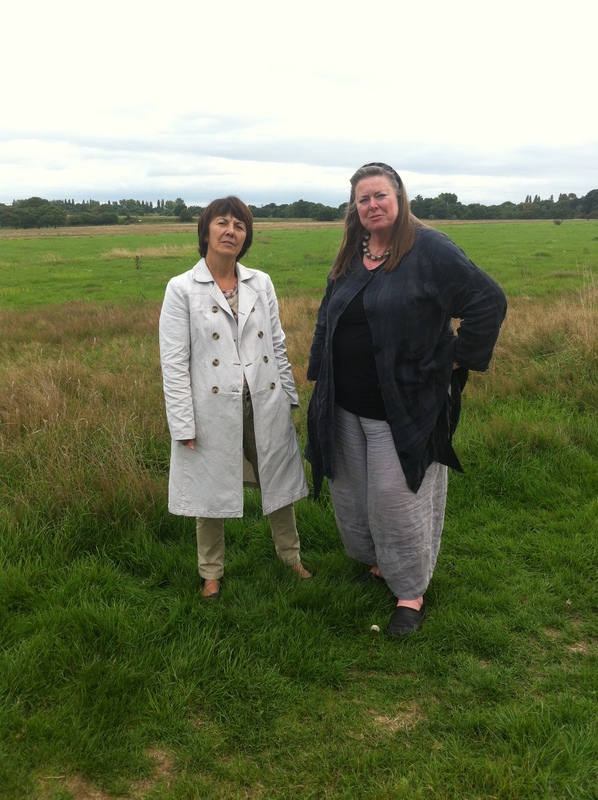 They are fighting with hundreds of others to prevent Warren Farm, which is one of Ealing’s remaining public Metropolitan Open Land and Community Sports Grounds, from being developed by Queens Park Rangers Football Club, who have been “gifted” a lease of the £31.5 million land for 200 years. The battle for Warren Farm has been going on for 3 years and people like Carolyn and Dominique will continue to fight for the good of their community. At The Blind Spot we will endeavour to support this worthwhile cause. For more information about the Save Warren Farm campaign visit their website. There is a wealth of information there, and plenty of ways for you to get involved. “Objection given by Carolyn Brown on behalf of Hanwell Community Forum, Olde Hanwell Residents’ Association, Hanwell Village Green Conservation Area Residents’ Association, Hanwell & Canal Conservation Areas Advisory Panel, Boston Manor Residents’ Association, and Brent River and Canal Society. The over-riding issue remains that the community will be losing 40 acres of publicly-owned community sports fields, Metropolitan Open Land, designated in Ealing’s own Planning Policy as Community Open Space, and in an Archaeological Interest Area. The established pedestrian access at the five bar gate was shown in the original brief to tender. The public footpaths across the site date back generations along cultivation boundaries. Nowhere else has the capacity to host large sports tournaments such as the APNA Primary Schools Football Tournament held here annually until June 2013. 16 Primary Schools from Southall, Northolt, Ealing, Acton and Hanwell fielded 34 teams. And the Tamil School Sports Association’s Tri-Sports Tournament of Football, Cricket and Netball. We have seen no evidence of how the proposed community programme would be developed. 3. All these community benefits cited could be achieved in partnership with other organisations without losing 40 acres of public land – the Council has ignored this. On balance we conclude that ‘very special circumstances’ are not proved. 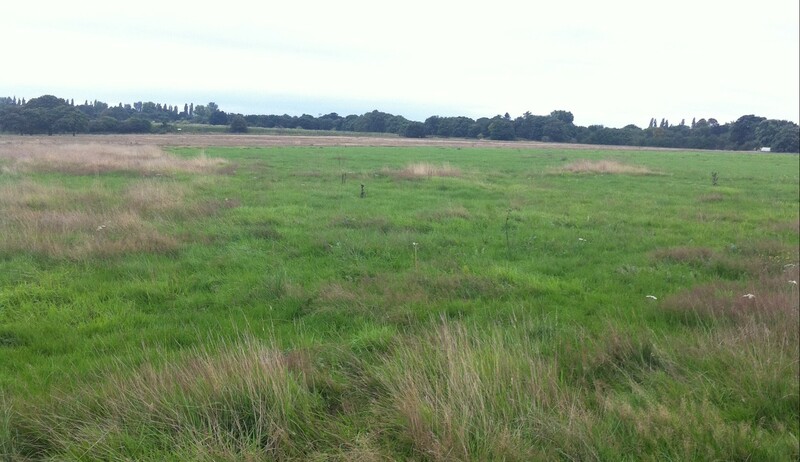 The Site of Importance for Nature Conservation would be deleted in these plans. This strip along Windmill Lane was never ploughed and has been protected. It has a diverse flora and associated fauna including at least two pairs of successfully breeding Little Owls. The proposed cycle path and access road would remove this completely. With respect to design and layout, the new proposals differ greatly from the approved plans in location of footprint; the inclusion of a new building linking the Academy and multifunctional operational buildings; the reduction of community trust space previously linked to the Indoor Hall; and relocation of the community pavilion to be attached to the indoor hall. There are no longer basic facilities adjacent to the community pitches. These are not minor changes and the application should NOT be treated as tweaks to the first plans. The design and external appearance are not appropriate for MOL, but would perhaps be fit for Heathrow Airport. Whilst much will be made of the green roofs, this would only be evident from the sky. Any view of the development from ground level would show massive, overpowering, flat-sided, high buildings. No design effort has been made to sink the indoor hall into the ground to reduce its height and impact whilst maintaining the requisite FA internal heights. No effort to merge the buildings into the MOL. There are no facilities adjacent to the community pitches for disabled sportspeople or spectators. The toilets are at a distance away in the community pavilion; no shelter from either sun or rain for disabled spectators or for anyone else for that matter! This application is not DDA compliant. Posted in Activism, CommunityTagged community, ealing, fight, warren farmBookmark the permalink.